Sunderland was long an important coal port, but the industry for which the town was until recently better knows was shipbuilding. 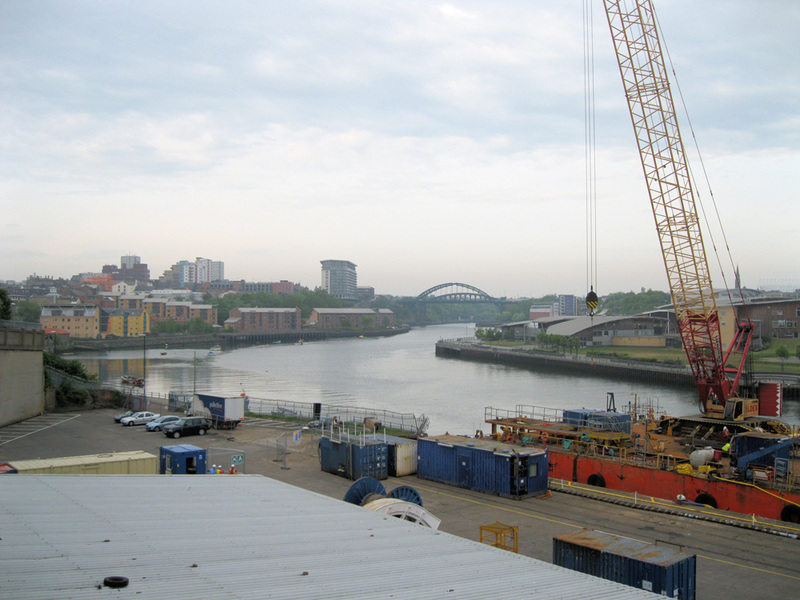 Since 1346 when Thomas Menville was recorded as building vessels here Sunderland has had a shipbuilding industry. Indeed it is claimed that shipbuilding had taken place in even earlier times; in 1885 a primitive 2000 year old dug out canoe was claimed to be the first example of Sunderland boat building, was found in the River Wear at Sunderland. Sunderland had 24 shipyards by 1814 and 65 by 1840. By the mid twentieth century when the town produced more than a quarter of the nation’s total tonnage of merchant and naval ships for World War Two, Sunderland was widely regarded as the largest shipbuilding town in the world. Sadly, despite strong opposition from workers and community leaders Sunderland’s last shipyards were closed down in 1988. Sunderland's history as a Port can be traced to Roman times. There is evidence, it is argued, that the Wear or, using its classical name, the Vedra, was an important logistics conduit supplying the Roman army at Chester le Street. As early as the 1590's Sunderland was exporting coal, the industry having been stimulated originally by the more rewarding salt trade. However the volume of exports both overseas and coastwise was severely retarded by competition from the Newcastle trade. It was the period of the Civil Wars and the Protectorate which gave the town the stimulus and protection which it needed to break the strength of this obstacle. Unlike most of the other major towns and cities of England, Newcastle was Royalist from the outset, largely because it was occupied by a Royalist garrison and had little choice. Sunderland on the other hand , was Parliamentarian both by inclination and calculation. The result was that for a time the town enjoyed an actual monopoly of coal exporting to London and the east coast. Over this period until 1660 and then beyond, the coal export trade can be seen to really take off. The setting up of the Commissioners of the River Wear in 1717 introduced a formal bureaucracy at a time when the Port was entering a boom period in its evolution. Remarkable engineering solutions were found to support the growing demands of the coal mining industry and of the emerging shipbuilding industry and as the Wear gradually changed from a pastoral backwater into a thriving industrial River, the complexities of harbour management were skilfully undertaken by some of the great engineering and administrative professionals of their day. When in 1972, the Council took over responsibility as the Statutory Harbour Authority, it was confronting a challenge which would have long term consequences for the local economy. For whilst Merchant Shipping was undergoing massive structural and strategic change in the wake of containerisation, international pressures were taking their toll on shipbuilding and coal shipments from the Durham Coalfield were in noticeable decline. Since 1972 the Council has led and supported a difficult child and has encouraged the Port to develop a fresh commercial perspective backed by an investment policy and instead of dependency on the "old" economy, the Port now handles a diverse array of materials which represent the needs of today's manufacturers and a new consumer-led society.